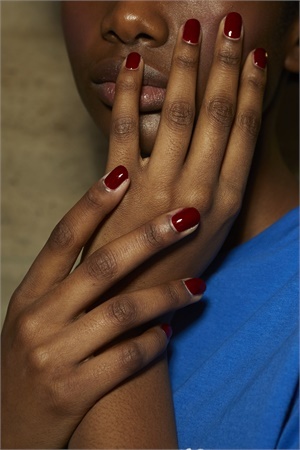 Julie Kandalec for Essie created a bold-yet-sophisticated burgundy manicure for Oscar de la Renta. 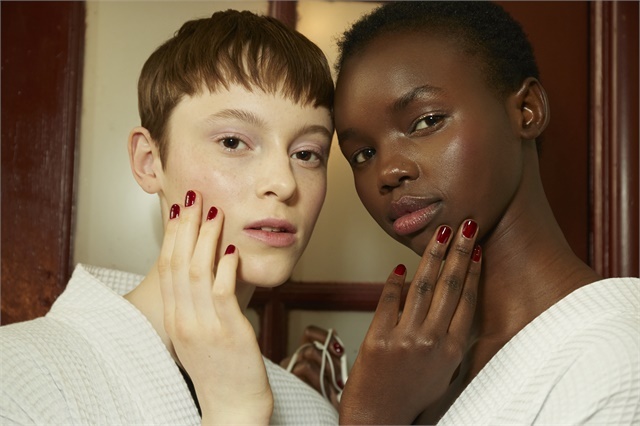 Inspired by the lush florals and Elizabethan prints in Oscar de la Renta's Fall/Winter 2018 collection, Julie Kandalec for Essie created a bold-yet-sophisticated burgundy manicure. Kandalec's tip for a clean cuticle line: Erase smudges with an orange wood stick dipped in acetone. "The wood is porous so you don't need fuzzy cotton, which can stick to polish," she explains.